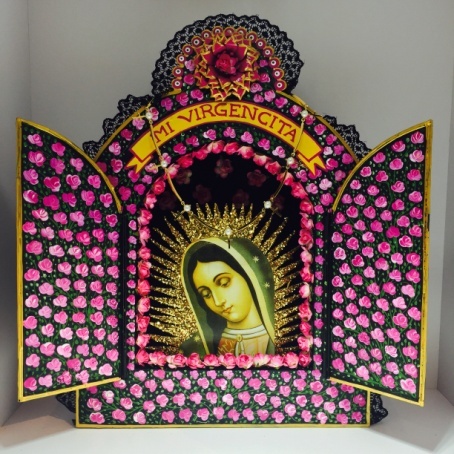 Sourcing product for special exhibits is one of the favorite things about my job, but as a lover of Mexican art and culture, La Virgen de Guadalupe: Empress of the Americas has been especially fun. 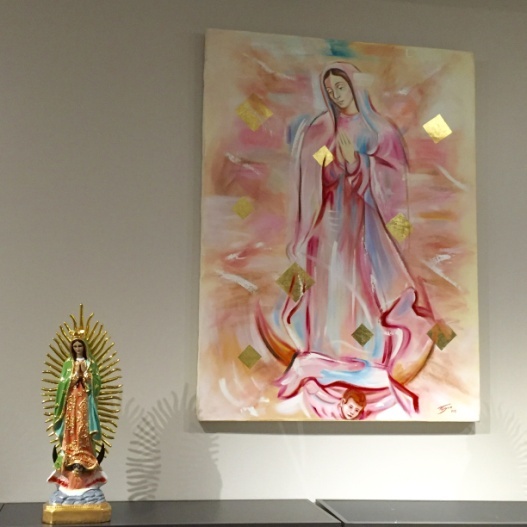 This summer, we traveled to Mexico City and met with officials at the Basilica of Our Lady of Guadalupe. The ancient basilica and chapels are beautiful, and seeing the art, both fine and folk, in context punctuated how meaningful the Virgin has been to so many lives and how integral she is to the culture. 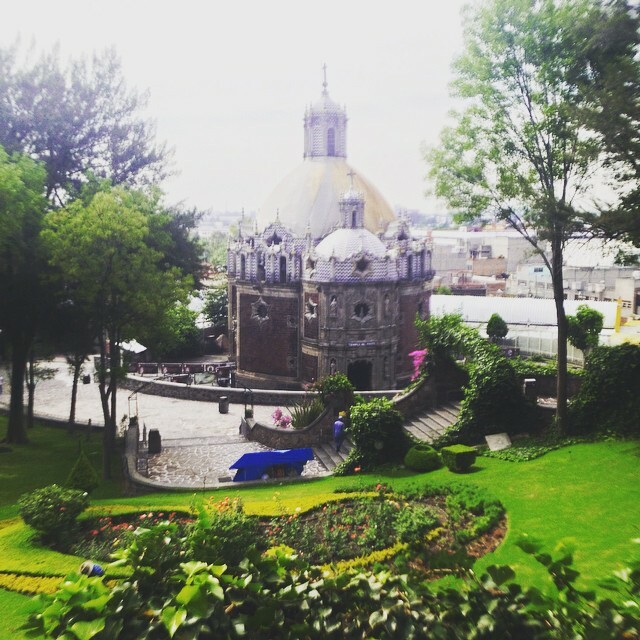 Capilla del Pocito – Chapel of the Little Well. With this in mind, we met with the Basilica’s retail director and chose some very special items to bring to the museum’s store. These rose petal rosaries made by nuns are deeply scented. 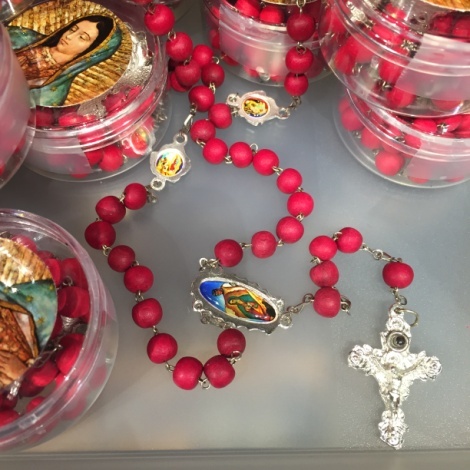 Scented rosaries made by nuns. Our talented Creative Director, Kim Bloedorn, designed our beautiful souvenirs including mugs, refrigerator magnets, 3D postcards, bookmarks and more, featuring Her image surrounded by roses. Graphic design by HMNS Creative Director Kim Bloedorn. Rising young artist Felipe Gonzalez Aguilera, AKA Ferguz, is rapidly gaining a reputation for his sensitive portraiture of iconic figures. One of Ferguz’s compelling paintings of the Virgin will be in the exhibit on loan from a private collector. We had the opportunity to visit the artist in his studio and were able to commission some paintings the he created especially for the store. The photos do not do justice to the delicate colors and brushstrokes. Fine art by Felipe Gonzalez Aguilera, AKA Ferguz. Mexico is known for its vibrant folk art and traditional craftwork. 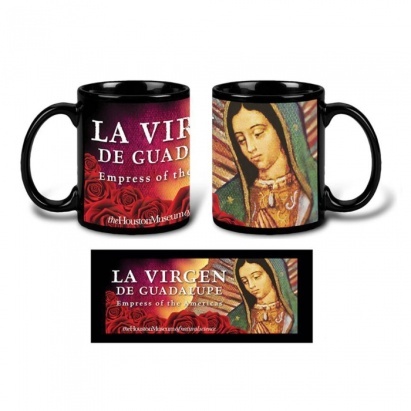 Detailed, hand-painted and punched tin nichos from San Miguel de Allende highlight images of the Virgin. Nicho by San Miguel de Allende. 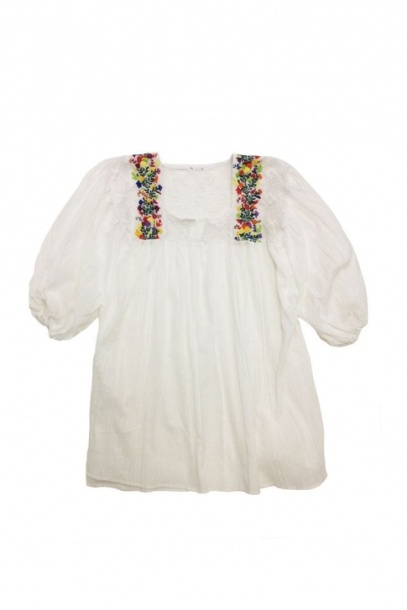 Traditional, brightly-embroidered blouses are from artisans in Oaxaca, Puebla, and Hidalgo. 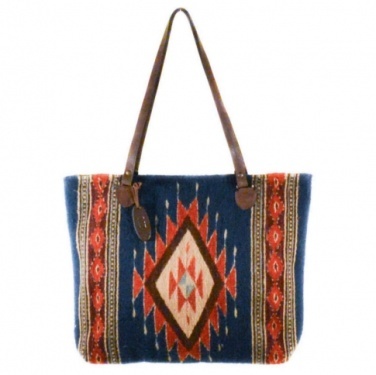 Weaving has been a part of the culture and livelihood of the Zapotec people since about 5000 B.C. The Spanish conquest introduced wool fiber and the standing loom and the weaving process and designs have changed little to this day. Ancient art meets contemporary design in these handmade purses. Closer to home, I worked with local designer Rebecca Lankford to create a series of rosary-inspired necklaces. Rebecca’s faith is a large influence on her work and she was delighted to create jewelry that references how religion and design have been intertwined since humans first created art. 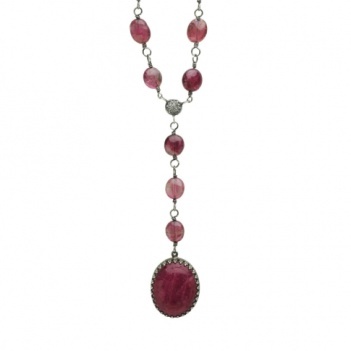 Ruby rosary necklace by Rebecca Lankford. We have more handicrafts, souvenirs and art available in-store and online at museumstore.hmns.org. All proceeds from store sales go back to the museum and enable us to create these unique exhibits and educational programs.